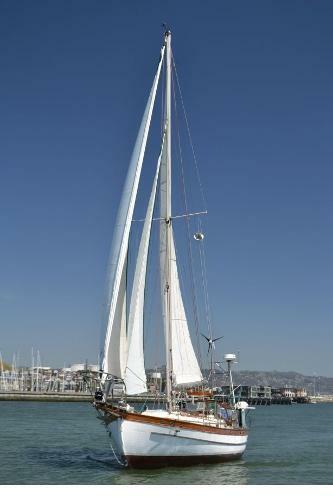 The Union 36 Cutter is a true blue water cruiser from the world renowned yacht designer, Robert Perry. 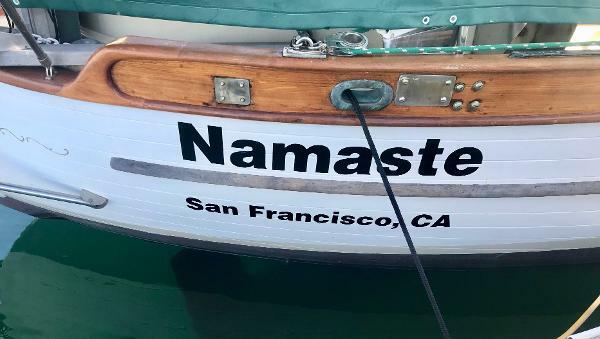 With her canoe stern, full keel and cutter rig ?NAMASTE? 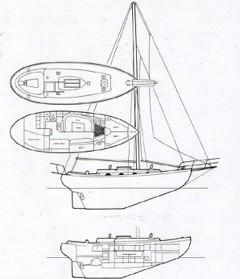 is rigged to explore the world?s oceans in comfort and safety. In the same style as the Hans Christian and Baba lines of traditional full keel cruising yachts, this yacht is a solid choice for your "great adventure." 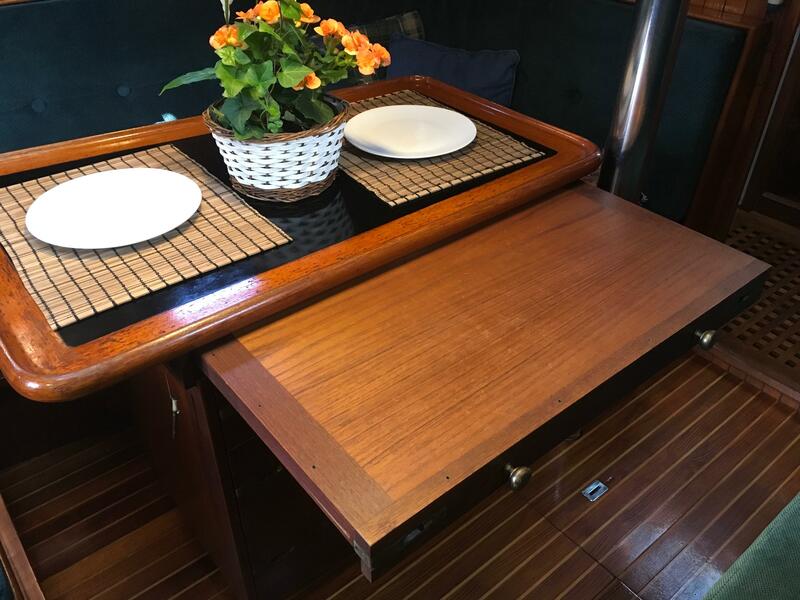 Interior teak is in great condition throughout as is the teak and holly sole. 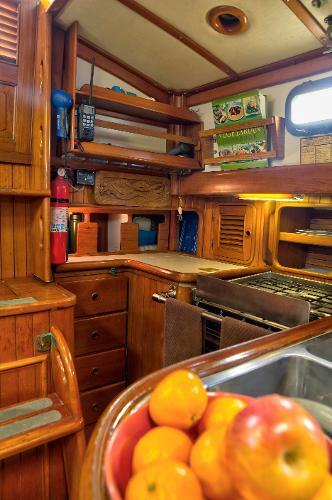 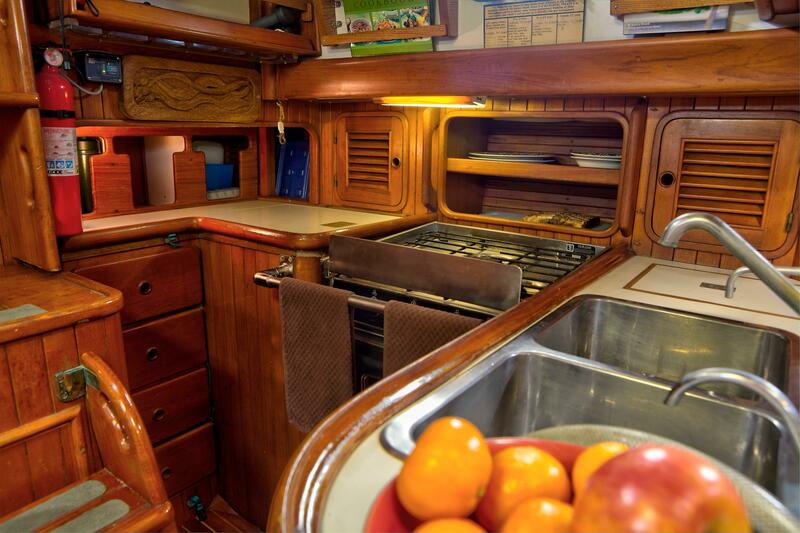 Nine opening ports and two large overhead hatches provide great light and ventilation. 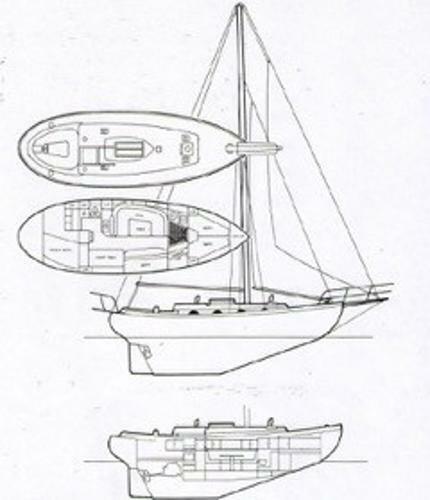 Four dorades add to the level of airflow. 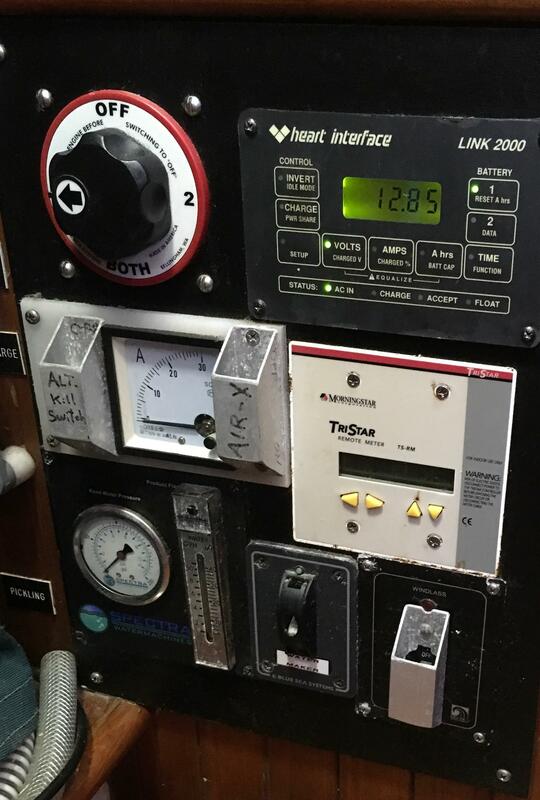 Finally, there are eight circulating fans aboard, all individually controlled and four new in 2017. 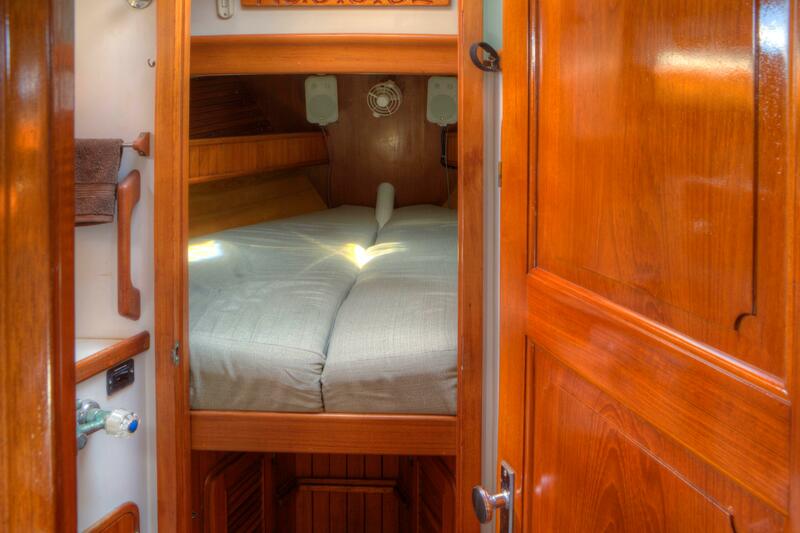 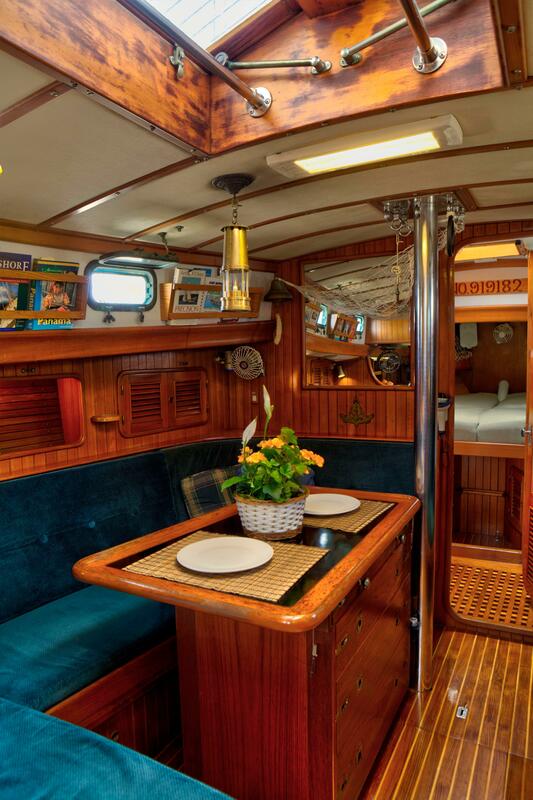 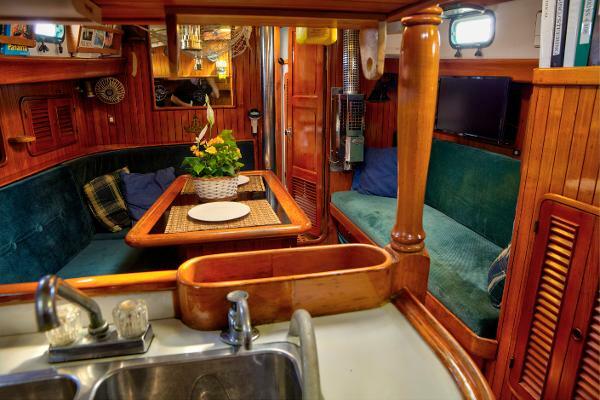 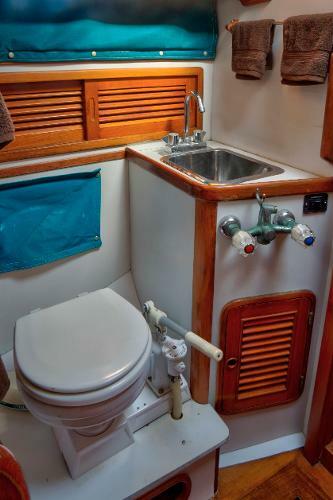 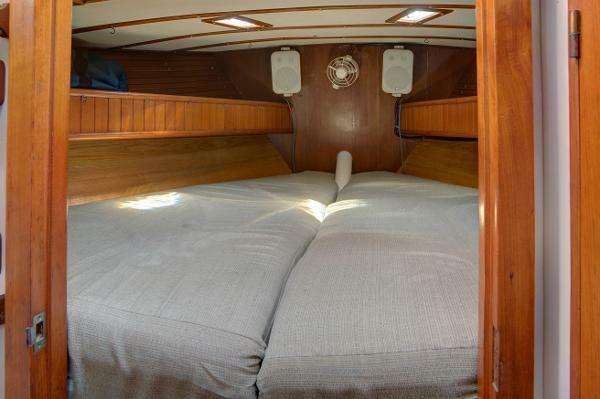 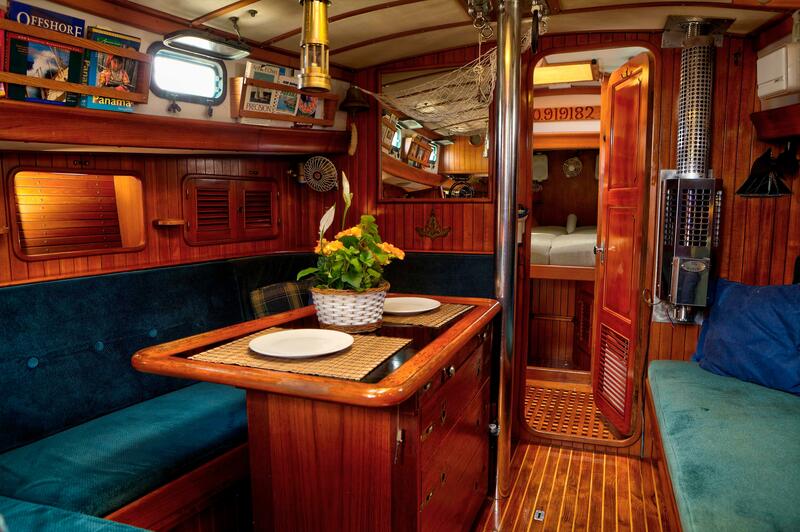 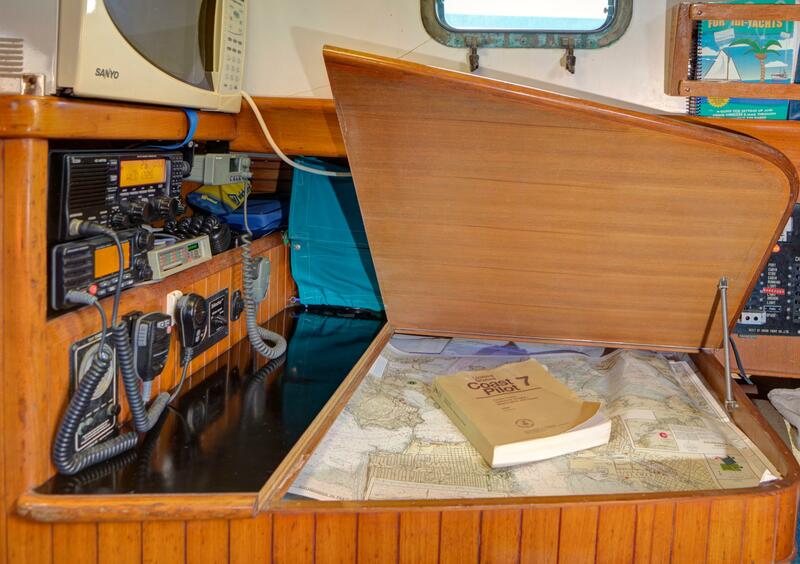 The forward stateroom is a V-berth with teak cabinets port and starboard. 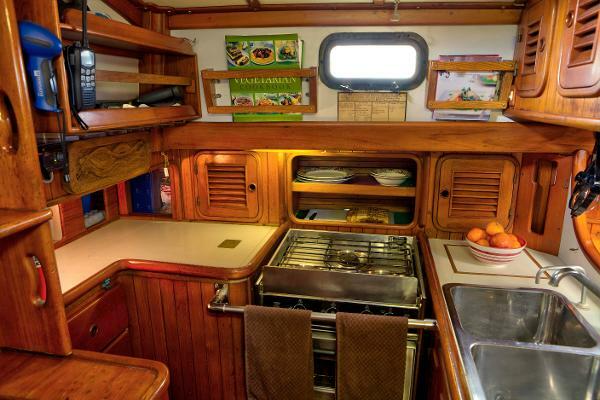 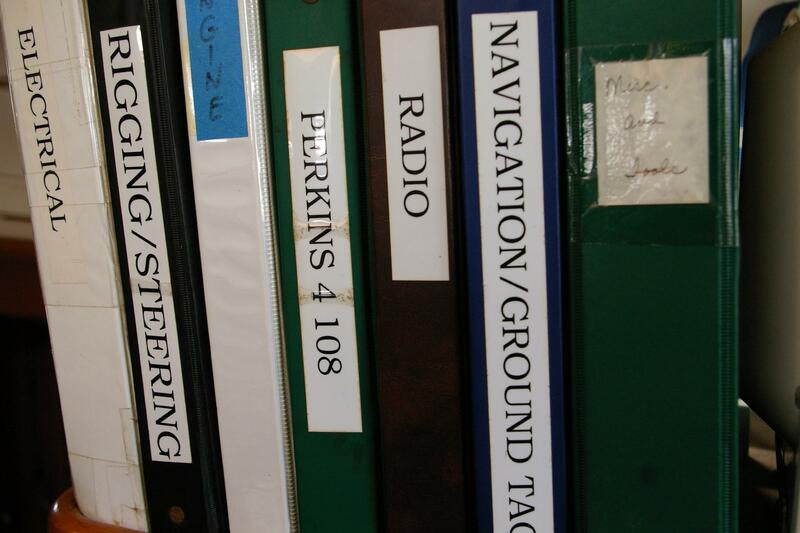 An open shelf above the cabinets provides additional storage. 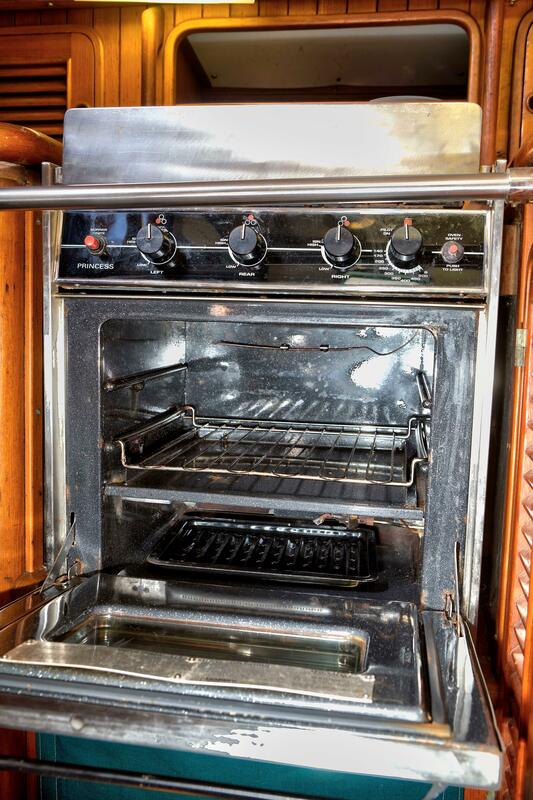 Full head and shower are to port and private to the salon, macerator and Y valve for overboard discharge. There is a chain locker forward, modified feed to the chain locker so you will not have to deal with chain piling. 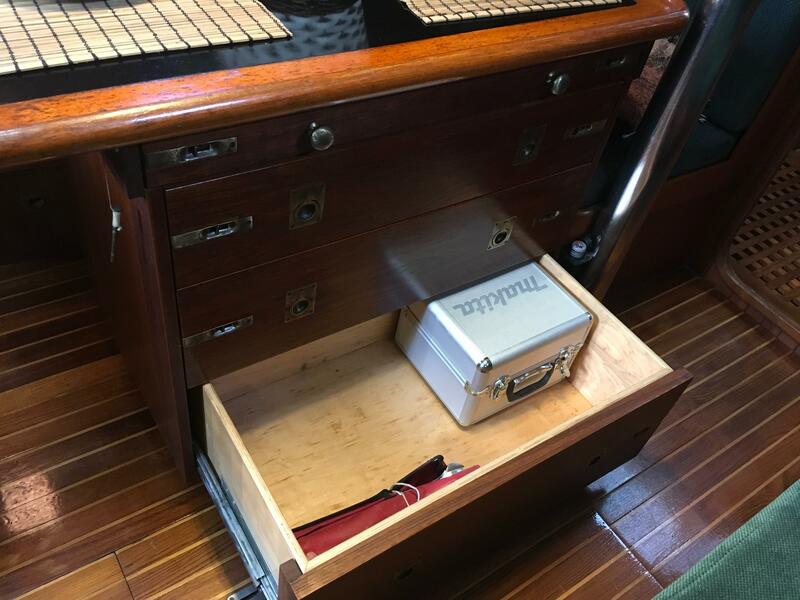 inch wide chart table with two large chart drawers and additional cabinets below. 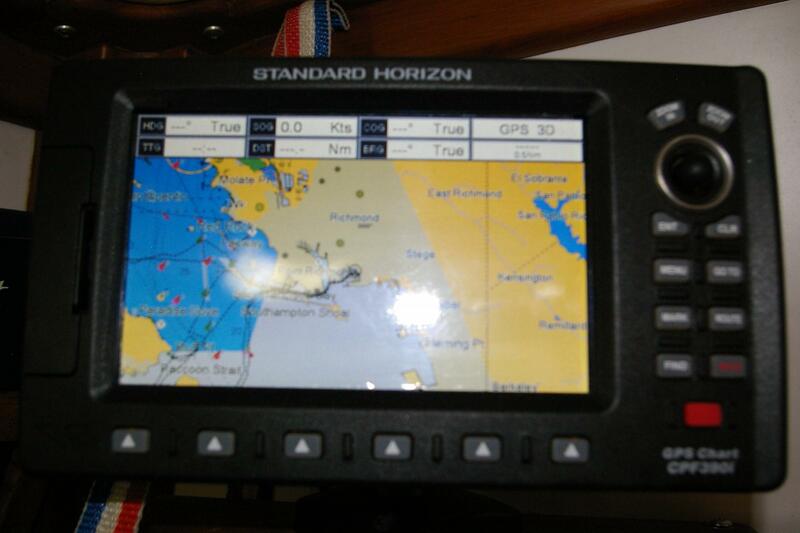 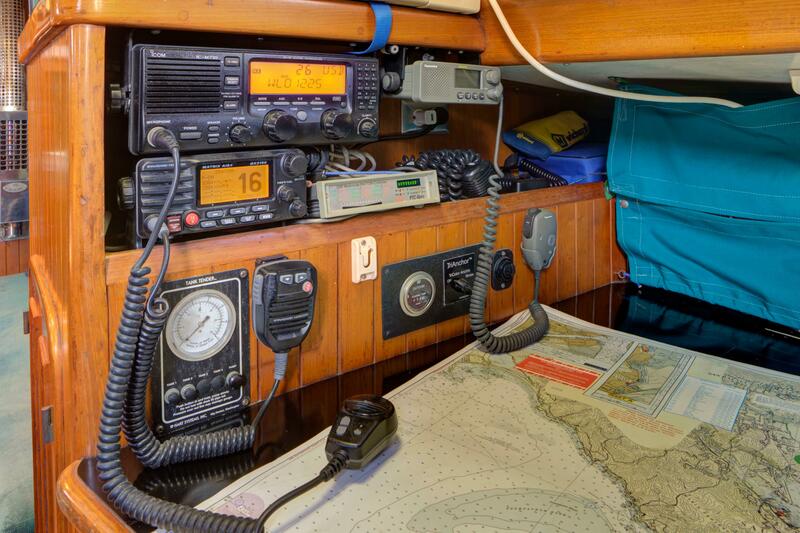 The Spectra water maker is installed between the quarter berth and below the nav station. 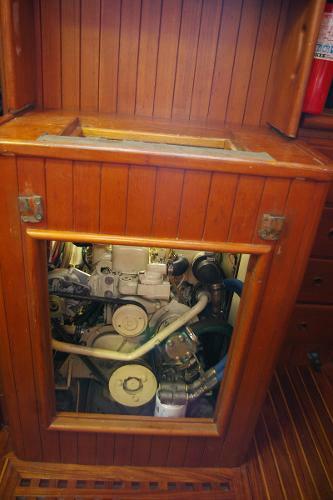 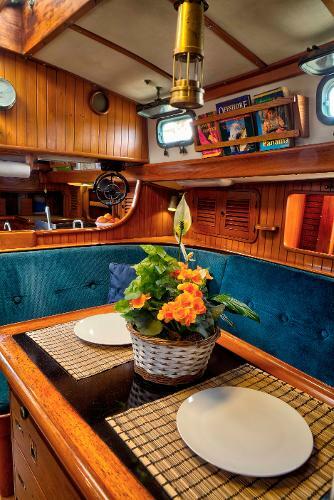 A quarter berth follows with continuous teak cabinets outboard and an opening port to the cockpit. 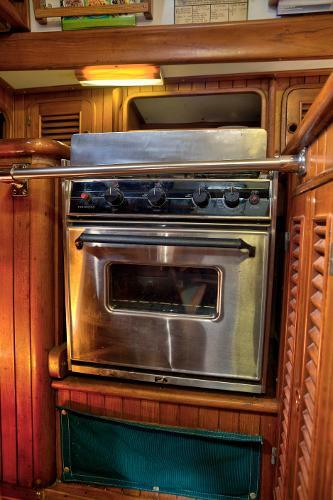 The U-shaped galley is to port. 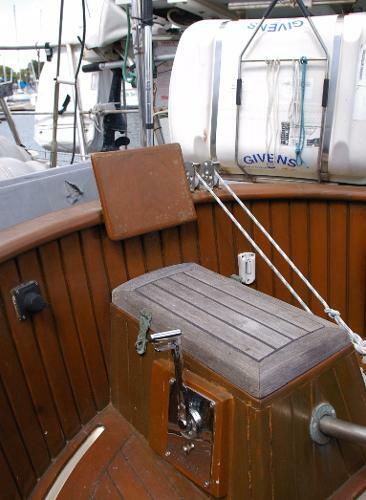 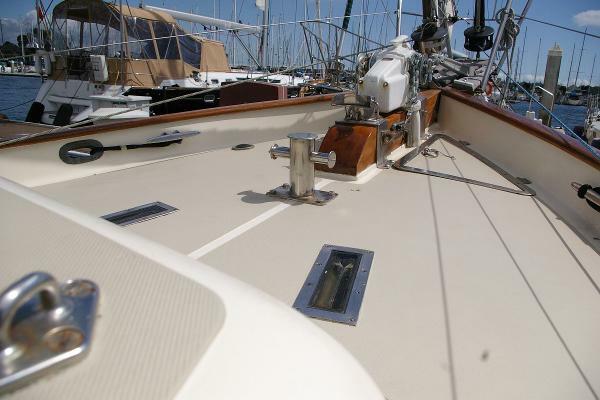 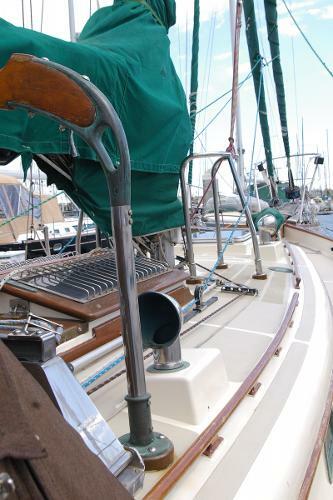 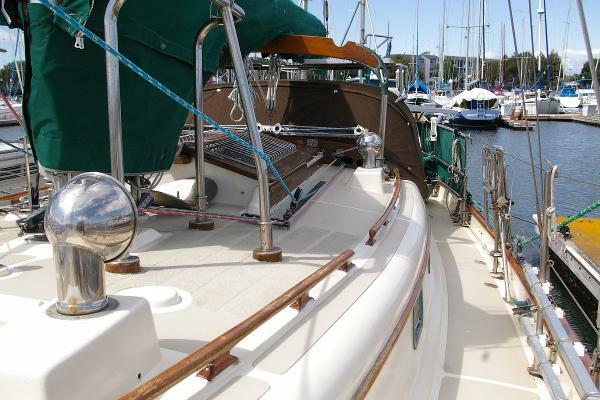 Engine access is through the quarter berth and through the removable companionway steps. Dickson Marine diesel heater mounted forward in salon was new in 2017.
completed in the recent past. 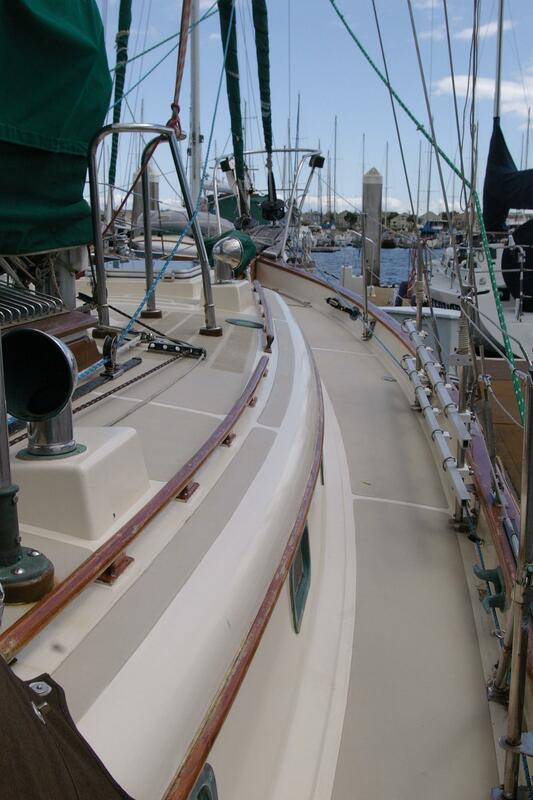 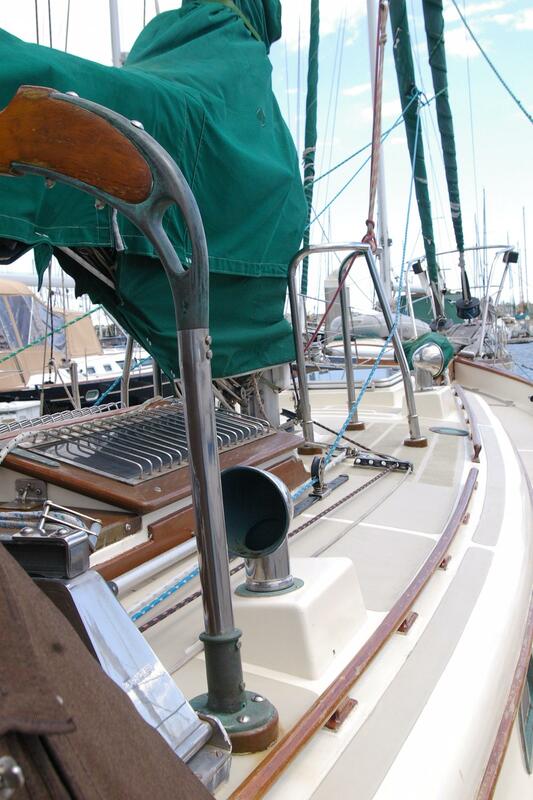 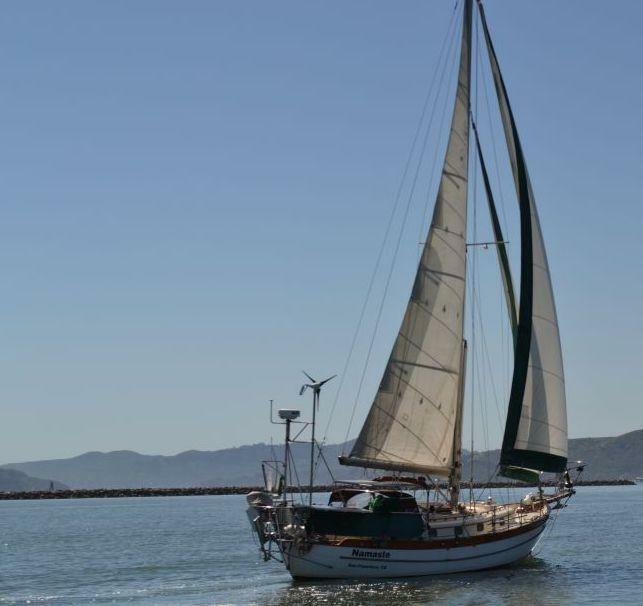 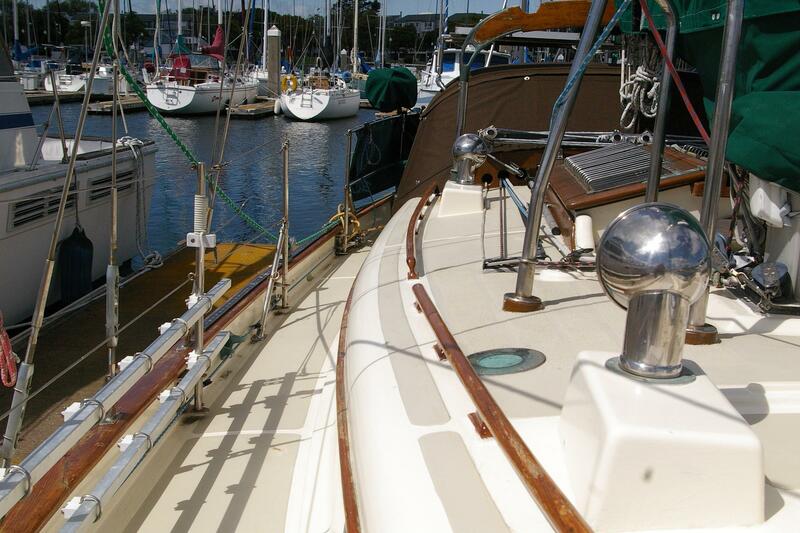 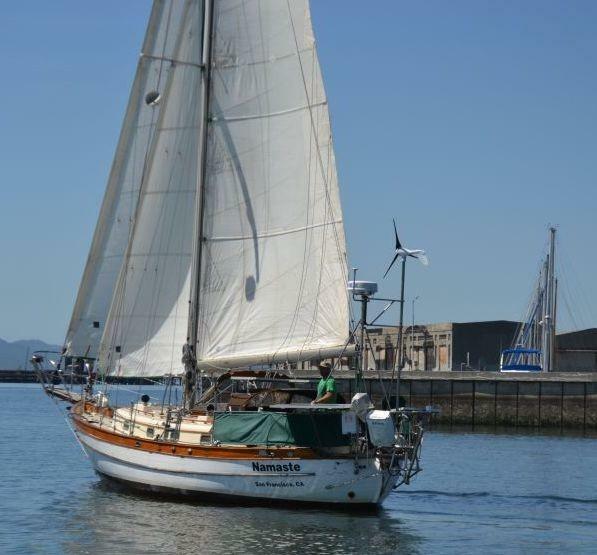 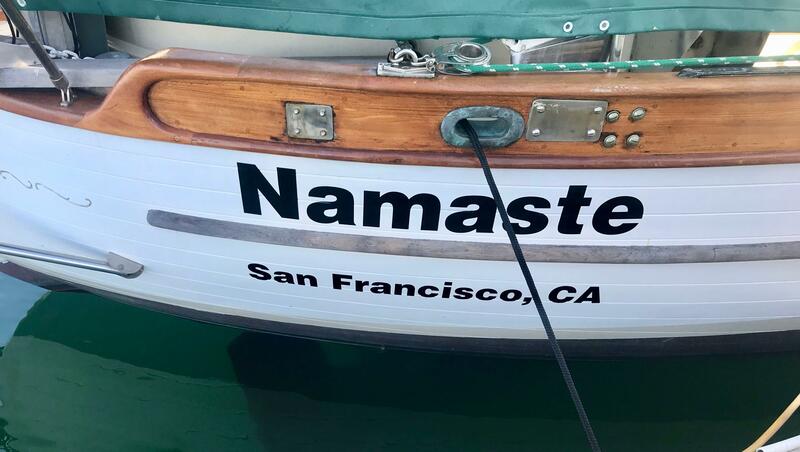 Owners did not let repairs wait, they have kept Namaste in a seaworthy, safe and ready to cruise condition. New dodger canvas and glass with covers (Cover Craft) Sunbrella with Tenara thread. 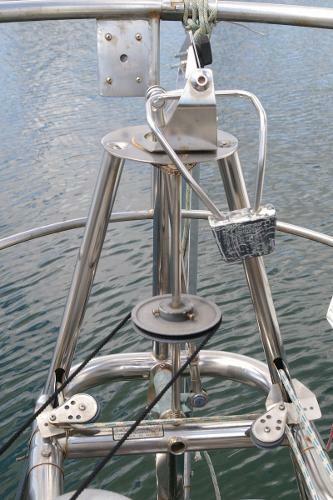 All new SS hose clamps on majority of all hoses.